Our certified Hvac technicians are fully equipped and ready for your service around the clock. Schedule Your Service Now! Have you always been handy? A do it yourself kind of a person, who can fix pretty much every thing around the house? Hazard of working around high voltage electricity, that hvac systems use. Hazard of handeling dangerous, even deadly refrigirant chimicals without proper training. Not having the right tools for hvac repairs! Hvac repairs are much more complex than you think, they have a complex structure, with many interrelated fragile parts and electrical componenets. Missplacing these compnents can make the problem much worse. DIY Hvac can lead to mayhams and can result into expensive repair or even more expensive system replacement. So save yourself such a trouble and call an All Week certified hvac technician to help you safely resolve, any ac or hvac issue you may have. We’re available around New Jersey around the clock and estimates are Free. 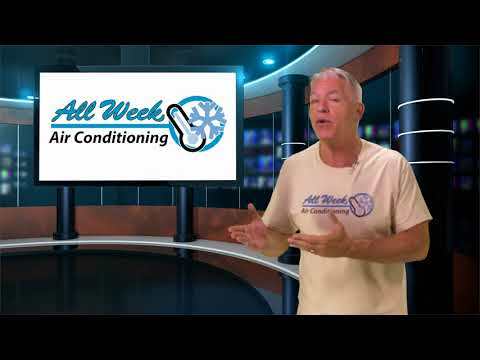 Is a Ductless AC System Right For Your Home?